Kolluri Sudheer Kumar from Chennai, B.E. - B.Tech Graduate. Kolluri Sudheer Kumar is Fresher With Linux Networking And SQL and currently have no work experience. LINUX NETWOKING SQL CODING CSS & HTML MOBILE WE..
are one of expert skill area's of Kolluri Sudheer Kumar . 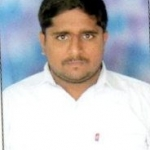 Kolluri Sudheer Kumar is working in IT Software industry.